...reveal answers to every single question exercising the human mind about God and the universe. The full title of van Helmont's book translated into English reads as follows, 'A Most Compendious and truly Natural Draught of the Hebrew Alphabet, which at the same time furnishes a method whereby those who are born deaf may be so informed that they may not only understand others speaking but also may themselves arrive at the use of speech'. It was not, as the title might suggest, a clinical treatise but a philosophical work arguing that Hebrew was the divine language of creation in which words exactly expressed the essential natures of things. Van Helmont contended that while time and ignorance had led to the corruption of Hebrew he had rediscovered its original form. He expected great things from this, believing it would bring an end to the religious controversies which had precipitated the Reformation and embittered its aftermath. 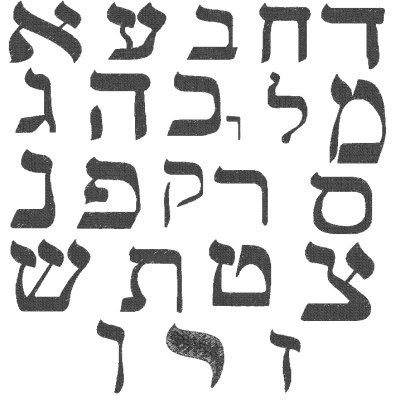 He envisioned a natural Hebrew alphabet by which men would live in religious peace and social harmony. By showing that deaf mutes could easily learn to speak Hebrew, van Helmont thought that he could demonstrate the two premises on which his theory of the natural alphabet was based: first, that there were such things as innate ideas; they had only to be activated to come into conciousness. And second, that Hebrew language perfectly represented these innate ideas. 'Kurtzer Entwurff des Eigentlichen Natur-Alphabets' [at HAB], by Franciscus Mercurius van Helmont (Hellmont).